Your search for Duvernay cleaning services ends here! Ménage Total is your professional cleaning company that provides cleaning services in Duvernay, Montreal, Laval, Longueuil, and surrounding areas. Our extensive cleaning services are not only for commercial areas but residential areas. Ménage Total have expert cleaning staff for professional and high-quality cleaning services around your area. 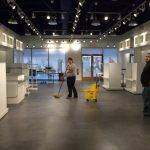 Our high-quality cleaning services include spring cleaning Duvernay, one-time deep time cleaning Duvernay, move in and move out cleaning services Duvernay, after party cleaning services and many more. Our janitorial and professional housekeeping services Duvernay are best fit you if you want to hire a cleaning company that serves you around the hour anytime and anywhere with flexibility at best. Life in modern times has become complex and busy than it ever was. The aim of Ménage Total’s cleaning services in Duvernay is to serve it hard times when you are too busy to take care of the health and hygiene standard or make the environment of the home or office clean and organized. 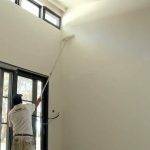 Our professionals will help you with the cleaning, maintenance, and organizing of your house with great care of each and all minor detail provided by our clients. A clean environment is a productive environment- not only in your house but in the offices also. A professional cleaning service will save your time- in the way you don’t have to clean each and every nook and crannies of your houses rather our professional janitorial and housekeeping cleaning services staff Duvernay will clean and sanitize the whole place in efficient time. According to recent researches in Psychology, a clean and organized environment is more productive for the environment and mental peace. While unclean and unorganized place will provoke negative thoughts and leads towards laziness and lack of creativity. A professional cleaning company is a best option because there the cleaning facilities are cost-effective. You get a professional cleaning staff in Duvernay. Professional cleaning companies have modern equipment and techniques to deal with the hard stains, fungus, dust & dirt, mold and mildew and harmful bacteria. 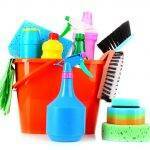 Also, professional cleaning companies have effective cleaning products to clean your property. All these qualities are possessed by Ménage Total. Thus, we claim that our professional cleaning services are cost effective because it relives you from a lot of struggle with cleaning products and hiring private maids. All the time you can get free if you hire Ménage Total for the professional residential house cleaning services Duvernay, corporate cleaning services Duvernay, and commercial cleaning services Duvernay.